So... a lot has happened in the last little while. We (as in me, Virgil, Pish and everyone else I love! Including Becket.) are continuing with our huge plans for the Wynter land. And they keep getting bigger every time we talk. So big... it's a little scary, to be frank. My whole life I've avoided doing things that frightened me. I had an activist mother who marched and picketed and wrote petitions, but I was more laid back. I married a wonderful guy, and that leap of faith ended in his tragic death two years later. So I kind of buried my head in the sand for years and years on end, just floating, until learning about inheriting the Wynter land a couple of years ago. I came here just intending to fix the land up enough to sell it, but instead... I fell into an adventure. Now I can't imagine my life any different, and I've made a habit of saying yes, especially to Virgil, who makes me glad every day I took another leap and said yes to him. Now I look back and wonder... why was I so afraid of life? Others have been beat up much worse and survived, so it's my time now to take chances. So... future here I come! What's the biggest leap of faith you've ever taken? Did it scare you? I'm terrified, I'll admit, and have many sleepless nights, but every second is worth it here in Autumn Vale, the quirky heart of my universe! Hello, all!! Victoria Hamilton here. Speaking of leaps of faith, I've taken one lately. I have just signed a three book contract with Midnight Ink for a historical mystery series, starting with A Gentlewoman's Guide to Murder. But more about that later... because it doesn't mean I'm giving up on cozy mysteries! As many of you know, Berkley has discontinued many series, mine among them. I made the decision to continue my Vintage Kitchen Mysteries in print and ebook with a different publisher, Beyond the Page, (Leave it to Cleaver came out in June 2017 and No Grater Danger comes out later this spring) and I'm heavily leaning toward doing the same with my Merry Muffin Mysteries. I don't feel like I'm done yet with Merry and her quirky crew of friends! So tell me... would you like to read more Merry Muffin Mysteries?? Let me know! The Merry Muffin series has become one of my favorites, and I would love to see it continue! I enjoy Merry and the gang — they are just quirky enough to keep the stories interesting. 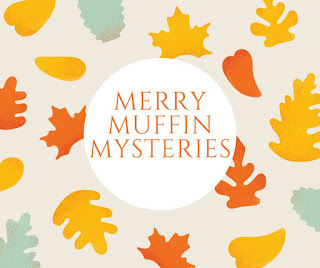 Yes, I would like to read more Merry Muffin mysteries. I love the setting and the recipes. Thanks for asking! Please continue. Love the Merry Muffin Mysteries and the Vintage Kitchen series. Congratulations on sticking with your characters as well as moving forward. Our characters do become like family to us writers, and it's painful to let them go. It's been wonderful to watch other publishers, both large and small, pick up the Berkley orphans, especially Kensington, Crooked Lane, and of course, Beyond the Page. I agree, Sheila... I was thinking I didn't have time, but I am going to try to make time. I just can't let them go yet. LOL! They have more to do. Glad you continued to write about "Merry and her quirky crew of friends" as you put it. Definitely want the story to go on! Wow, Kay, that was quite the leap of faith! You have more courage than I, my friend. I am so fed up with short-sighted publishers! I will happily read any of your offerings. Thanks Libby... as long as readers want to read, we'll keep writing! It's a little more challenging to find the books form small publishers, but we keep working on it. Oh yes, please, please don't give up on Merry! 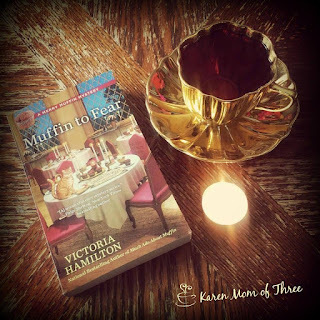 I love both the Vintage Kitchen and Merry Muffins mysteries! Yes, I would love to read more of the series. Yes please! We need more Merry Muffin mysteries! More Merry & her friends, please! Yes please!! I want more. I definitely want to see what happens next. BTW, love the title of the book! Thank you all for your words of encouragement! I appreciate my readers so VERY much! !